These printable candy gift tags are the perfect way to add a special touch to your sweet gift. The quotes put a funny spin on different types of treats. You can download the printable tags at Parties and Patterns. Tie them around candy like Snickers, Look, Twix, Red Hots, Good & Plenty, animal crackers, Hog Wash fruit drink and even ice cream toppings. 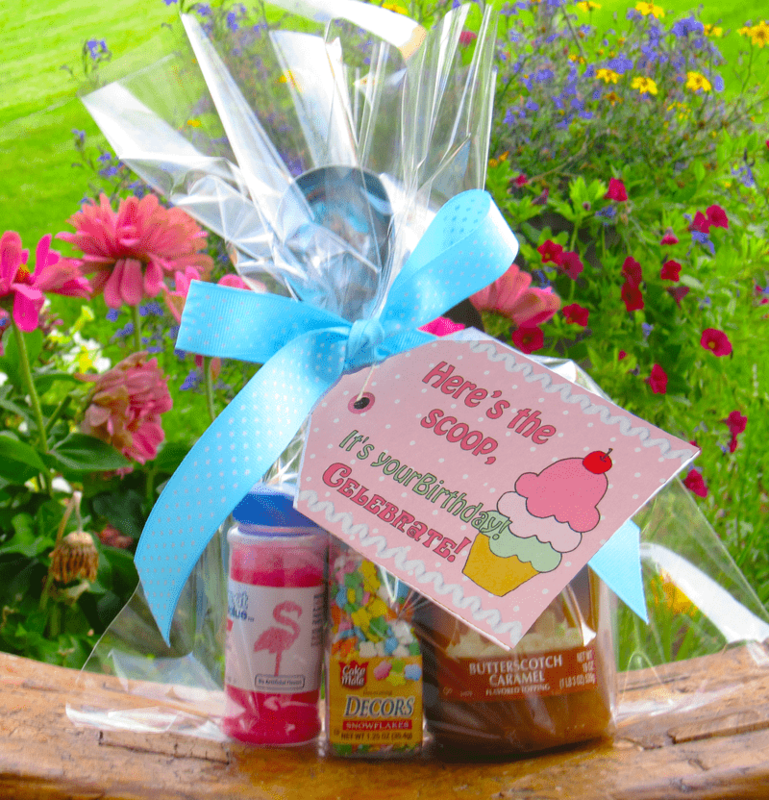 Place yummy ice cream toppings and a scoop inside a cellophane bag and tie the printable tag on with a cute ribbon. Add a little humor to your sweet birthday gift! 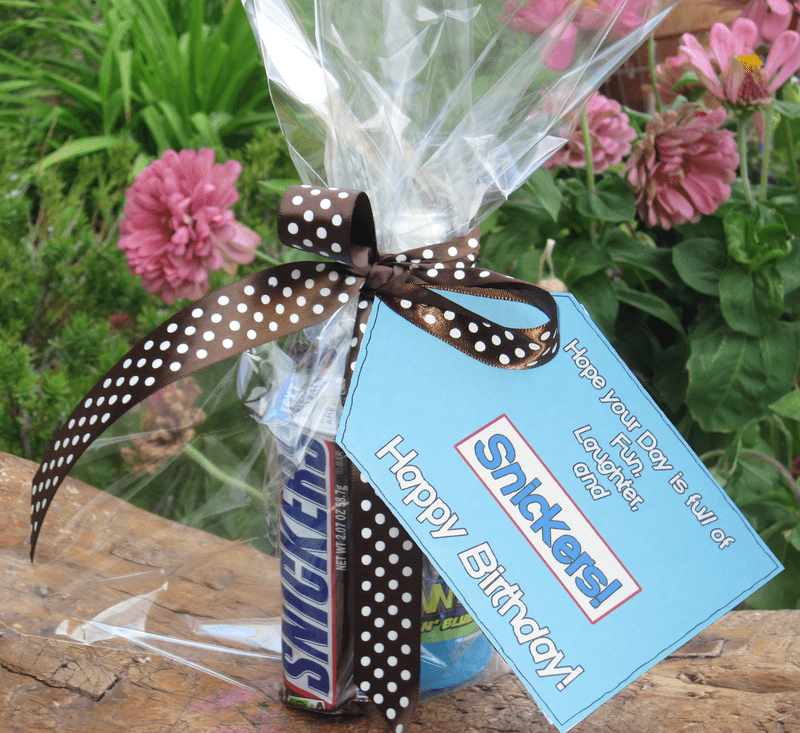 This packet includes cute Birthday phrases using a number of different treats and candy brands. These quick gifts are perfect for teachers, friends, teenagers, kids or just about anyone. You can download this free packet that includes instructions and the printable tags HERE at Parties and Patterns. Check out our BLOG for more fun ideas, recipes and patterns.